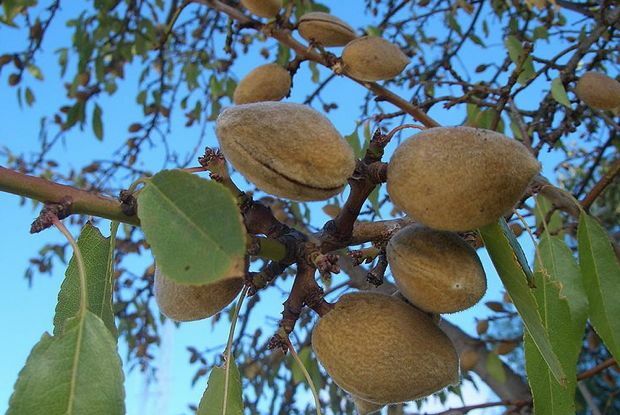 California’s almond growers are finding an unlikely, but welcome market for their products–Asia, namely China and India. As Asia sees its middle class rapidly expanding and health awareness growing, California’s nut growers are marketing their products aggressively in the continent, including contracting Chinese and Indian celebrities to help promote their products back home. The international market for U.S.-based farms has grown rapidly–reaching $115.8 billion in exports last year–and because of India and China’s sheer population size, they’re proving to be particularly attractive markets. China has even surpassed Canada and is now the top destination for American agricultural exports. “Everybody sees the Asia Pacific region as the place to be in the foreseeable future and is trying to establish a presence there to be a player in those emerging markets,” said the Center for Agricultural Business at California State University, Fresno’s director, Dr. Mechel Paggi. As such, those dealing with the business side of farming and agricultural exports are encountering unique challenges and opportunities, as they face new markets and customers. “You have to take in cultural considerations. There are deep rooted cultural and even medicinal traditions, connotations and perceptions in these cultures,” said Becky Sereno, the Almond Board of California’s international marketing specialist. The giving of gifts in South Asia, for example, is often reserved for special occasions and Bollywood actress Karisma Kapoor is set to appear in TV spots during the country’s busy festival season in the Fall. Chinese movie star Gao Yuan Yuan is now an ambassador of the California Almond Board to China. She appears in ads in China’s bus stops and billboards portraying almond consumption as the mark of a happy, healthy life. China and India are both now in the top four export markets for the American almond industry. Exports to China alone rose from 16 million to 133 million pounds in the last five years.